Row4Ocean departed from the port of Dakar on 14 December 2018 for the other end of the Atlantic Ocean. The solar ship travels without greenhouse gas emissions, for a 27-day mission, against plastic pollution of the seabed. It is a real challenge that the Row4Ocean has set itself. From the port of Dakar in West Africa, to that of Surinam, South America, the solar boat will cover a distance of 2,305 miles in just 27 days (unit of measurement for marine distance, 1 mile = 1,852 metres). A record that will be registered in the Guinness Book Record. However, it is much more than a sporting event, it is a campaign against plastic pollution of the seabed. A phenomenon that does not spare Africa’s marine areas. Of the 32 million metric tons of plastics dumped into the oceans and coasts, 4.4 million are in Africa. Only 1% of the plastic waste floats on the surface of our oceans. The remaining 99% breaks down into microparticles and covers the seabed. Every day, nearly 26,000 tonnes of plastic waste are dumped into the oceans. At this rate, the UN Environment predicts that by 2050, the ocean will contain more plastic than fish. About 80% of ocean plastic waste comes from land-based sources. It is from this observation that the transatlantic crossing project, launched from the port of Dakar in Senegal, was born. Row4Ocean began its Atlantic crossing on December 14, 2018, at one of the promoter’s terminals in Dakar: DP World, the 4th largest terminal operator in the world, by the volumes handled and its capacities. The Qatari group operates 70,000 ships per year in its terminals, with nearly 170,000 containers handled per day. It employs 37,000 people from more than 110 countries. According to DP World, the boat is 12 m long, 7 m wide and has a draught of 0.3 cu m. It is designed with fully recyclable material and runs on solar energy. 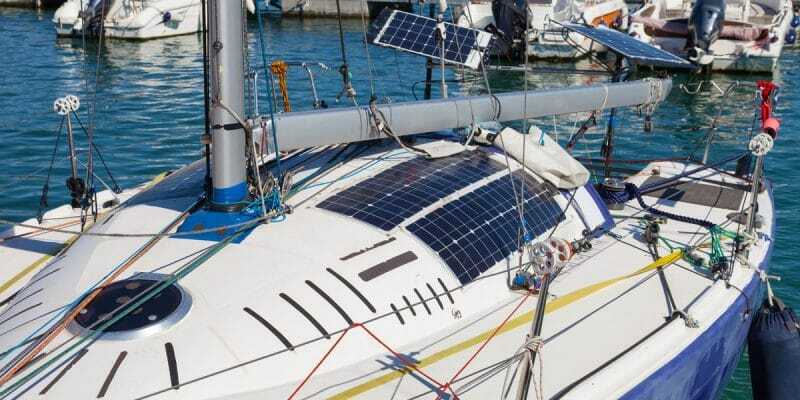 The transatlantic is powered solely by solar oars, and it is by currents on the trade winds that the transatlantic is moving towards Suriname with four crew members on board. One of them, Andrew Ruinoff, is aware of the growing presence of plastic in the ocean. “Our hope is to have as many people as possible understand the negative impact of plastic. That is the main purpose. And we’re in a hurry to get there”. It is also an opportunity to collect donations to help clean up the Indus, one of India’s seven sacred rivers, which flows into one of the most polluted seabed in the world, with 130,000 tonnes of plastic waste transported.